With the 2019 ICC Cricket World Cup just about a month and a half away, New Zealand became the first team to announce their 15-member squad. While most of the squad was on expected lines, the selection of uncapped wicket keeper batsman Tom Blundell and the selectors’ faith in Colin Munro are the only surprise inclusions in the squad. Here’s a look at their squad, the key players and what our verdict is on the squad. Kane Williamson – There is no doubt about Kane Williamson’s class and ability. He is widely regarded as one of the best batsmen going around in world cricket. With an overall batting average of close to 46, he is one of the mainstays of the batting and will be crucial for their middle overs success. They do have hitting ability on either side of Williamson and Ross Taylor, but how these two players maneuver the middle overs will be key to their success. As such, Williamson’s overall batting average has gone up a notch since the 2015 World Cup as compared to his overall career, showing his consistency in this format of the game. Martin Guptill – A key component of their success in limited overs cricket, the performance of Martin Guptill since the last World Cup has been phenomenal. The fact that nine of his 16 hundreds have come in the last four years is a testament to his consistency. Given Colin Munro’s inability to adapt to 50 overs cricket, Guptill might end up opening the innings with Henry Nicholls. How Nicholls adapts to his new role at the big stage will also depend on how well Guptill takes the pressure off from the other end. He was the top run scorer in the 2015 World Cup, thanks largely to a humongous 237 not out against the West Indies and will once again be expected to take them off to quick starts. Ross Taylor – Ross Taylor’s numbers since the 2015 World Cup can only be compared to Virat Kohli. The consistency and hunger he has shown across formats has been exemplary. However, it is his ODI numbers that have stood out and have demanded attention. Since the start of 2017, the Kiwi has scored 15 half centuries and five centuries. He also went past Stephen Fleming to become New Zealand’s highest run scorer in ODI cricket in their series against Bangladesh. The fact that he took 62 less innings than Fleming shows the consistency of Taylor. Along with Williamson, he is expected to be one of the main stays behind their batting. Trent Boult: Widely regarded as one of the best left-arm swing bowlers going around the international circuit, Trent Boult’s ability to take wickets at the top will be a key to New Zealand’s success as a bowling unit. His long time opening partner Tim Southee no longer remains a first-choice pick in the ODI starting XI and that makes Boult’s contribution more crucial, not just with the ball, but also with regard to mentoring Matt Henry and Lockie Ferguson. Pitches in England will often be flat and high scoring and hence the leader of the attack will have to be on his toes to ensure they don’t stare at too many large totals. Boult was the joint highest wicket taker in the 2015 World Cup with 22 wickets at an average of 16.86 and surely wouldn’t mind bettering those numbers this time around. Mitchell Santner: It would be cruel to categorize Mitchell Santner purely as a bowler. He has a batting average of 27.53 and a strike rate of 89.58 which means that is more than handy with the bat. However, it is his performance with the ball which will be a determining factor for his team’s success at this event. It would be wrong to compare him with Daniel Vettori, who ended the 2015 World Cup with 15 wickets at an average of 20.46. The rise of power hitters and flat pitches have almost resulted in a death for finger spinners in ODI cricket. However, Santner has done well to survive the onslaught. To have an economy rate of 4.90 since his debut in late 2015 shows how well he has done to control the run flow in the middle overs. He may not pick up a bag full of wickets, but he does the job for the team. Tim Southee: Tim Southee’s downfall in the last few years meant that there were doubts regarding his selection in the squad for the World Cup. He had a decent outing in the 2015 World Cup where he managed to pick up 15 wickets from nine games at an average of 31.46. However, his performances since then have been largely underwhelming. He has been demoted to being a reserve member of the ODI squad, even as he has been named T20I skipper in Williamson’s absence. However, with Matt Henry and Lockie Ferguson still learning their trade in the international arena, Southee will be required to step up should any of them suffer from a loss of form. At 30 years of age, he would like to believe he still has plenty of cricket left in him. His recent performances in the Indian Premier League wouldn’t have given the management much confidence either. Overall Verdict: As they do in every World Cup, New Zealand enter into this edition as one of the dark horses. They had a heart-break in 2015 when they lost to Australia in the finals and have gone through a transition phase since then. The team has a good mix of experienced players and young players. There is relative inexperience in the bowling department as compared to the batting and that is where Williamson’s captaincy skills will come into play. The manner in which he utilizes his bowlers to go along with Jimmy Neesham will determine if they make it to the semi-finals. 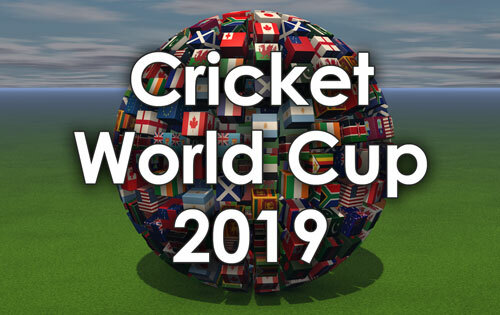 Probable Best XI: Martin Guptill, Henry Nicholls, Kane Williamson (c), Ross Taylor, Tom Latham (wk), James Neesham, Colin de Grandhomme, Mitchell Santner, Matt Henry, Lockie Ferguson, Trent Boult.